CHINESE: Mao ye fan li zhi. FRENCH: Annone, Cachiman, Cachiman clur de bluf, Cherimole, Cherimolier, Corossol du Perou. GERMAN: Chirimoya, Chirimoyabaum, Jamaikapfel, Peruansicher fraschenbaum, Rahmapfel, Zukerannone. PORTUGUESE: Anona de Chile, Chirimolia, Chirimorrinon, Chirimoya, Fruta do conde, Grabiola, Graveola, Graviola. SPANISH: Anona poshte, Anon de manteca, Catuche, Cherimolla, Chirimoya, Corazon. OTHERS: Hanuman phala, Noina ostrelia. 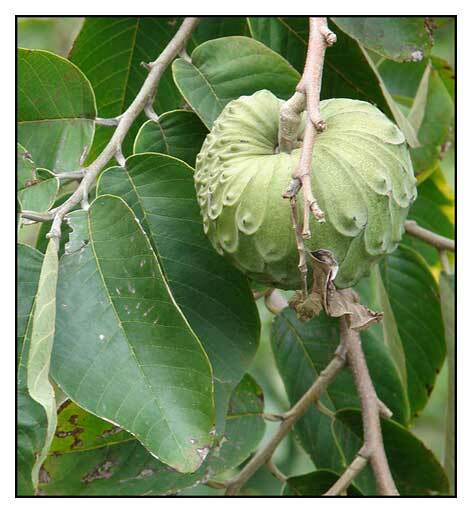 Cherimoya is a small deciduous tree that grows to a height of 10 meters, low branched, shrubby, spreading 5 to 9 meters. Leaves are alternate, two-ranked, with minute hairy petioles, ovate to elliptic, short and pointed at the apex, slightly hairy at the upper surface, velvety on the lower surface. Flowers are fragrant and solitary, on short, hairy stalks along the branches, with 3 outer, greenish, fleshy, downy petals and 3 smaller, pinkish inner petals. Fruit is cone- or heart-shaped, 10 to 20 centimeters long, up to 10 centimeters wide, containing numerous hard, brown or black glossy seeds, 1 to 2 centimeters long. - Cultivated for its edible fruit. - It does well in the Mountain Province at an altitude above 2,460 feet. - Native to southern Ecuador and northern Peru. - Yields numerous bioactive chemicals i.e., annonaceous acetogenins, annocherine A, cherianoine, annocherine B, chermolin, annomolin, romucosine H, anonaine, among others. - Studies have suggested antioxidant, hypolipidemic, antidiabetic, antiprotozoal properties. - Seeds, like all Annona species, are toxic and should be removed from the pulp before blending. - Essentially a desert fruit that is eaten fresh. - Fruit is juicy, slight sweet, and a little tart, with a delicious flavor cross between a pineapple and banana. Added to fruit salads and various dessert recipes. Pulp may be blended with orange juice and lime juice. 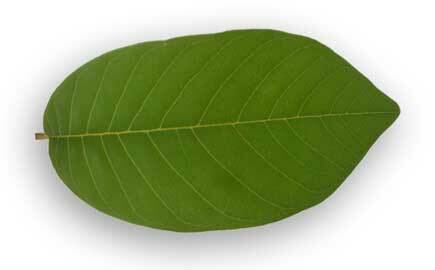 - In Mexican traditional medicine, used for treatment of diarrhea and dysentery. - Powdered seed mixed with grease as treatment for parasitic skin diseases. Sorting Annona names / /Maintained by: Michel H. Porcher / MULTILINGUAL MULTISCRIPT PLANT NAME DATABASE / Copyright © 1995 - 2020 / A Work in Progress. School of Agriculture and Food Systems. Faculty of Land & Food Resources. The University of Melbourne. Australia. Antiprotozoal Constituents from Annona cherimola Miller, a Plant Used in Mexican Traditional Medicine for the Treatment of Diarrhea and Dysentery. / Calzada F, Correa-Basurto J, Barbosa E, Mendez-Luna D, Yepez-Mulia L / Pharmacogn Mag., 2017 Jan-Mar; 13(49): pp 48-152. / doi: 10.4103/0973-1296.197636. 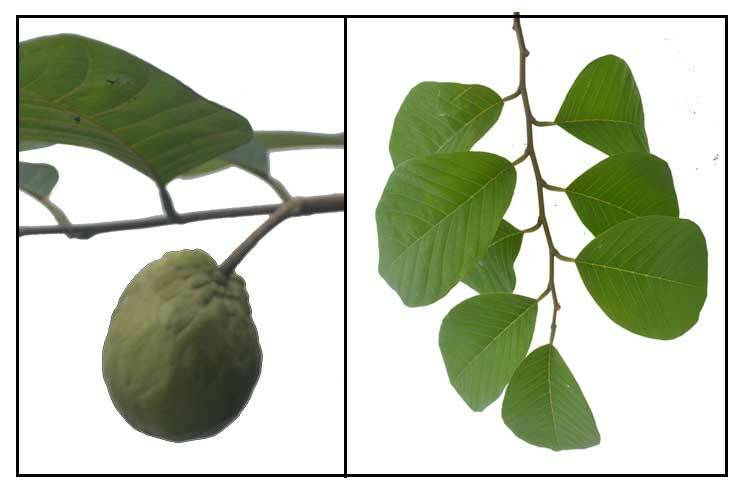 Antihyperglycemic Activity of the Leaves from Annona cherimola Miller and Rutin on Alloxan-induced Diabetic Rats. / Calzada F, Solares-Pascasio JI, Ordoñez-Razo RM, Velazquez C, Barbosa E, García-Hernández N, Mendez-Luna D, Correa-Basurto J. / Pharmacognosy Res., 2017 Jan-Mar; 9(1): pp 1-6. / doi: 10.4103/0974-8490.199781.